Low on cash but want to get that lock fixed? No problem! 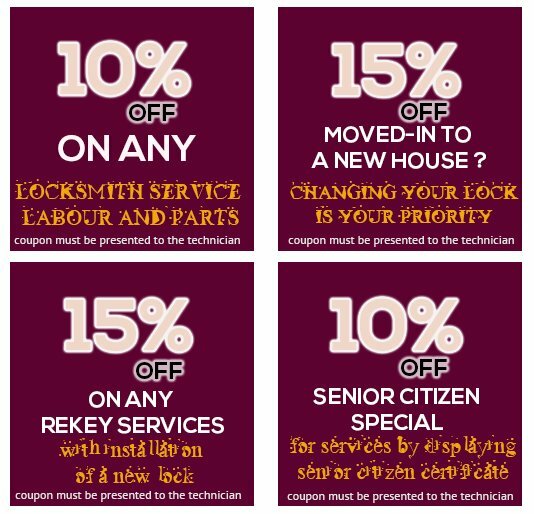 With Fort Worth Master Locksmith’s exclusive discount coupons you are entitled to reductions on your total bill. Present the coupon to our technician and avail our services at the cheapest rates in !